Should I Hire a Fort Worth Personal Injury Attorney? Home » Blog » Should I Hire a Personal Injury Attorney? Whether you’ve had a slip and fall accident in a supermarket or you’ve been involved in a serious car accident, it is important that you consult with a personal injury attorney as soon as possible. Never assume the responsible party will take care of your injuries, there is simply too much on the line to risk your health and financial future on a handshake and a promise. Its important to find a personal injury attorney to represent you as soon as possible. Here are a few of the reasons to call a personal injury lawyer as soon as you can reach for the telephone. When you have suffered an injury at the hands of another, this can be trying and confusing times. Whether you are being rushed to the hospital after a run in with an 18 wheeler or are stuck in your home in bed nursing your injuries, the first thing that you need to do when you are able is call a personal injury attorney who specializes in these types of accidents. While you are having to deal with getting better, questions are going through your head about how you are going to pay for the medial treatments you are receiving, who will pay for the repairs on your vehicle, and will you still be able to work? The added stress of not knowing what to do next can only make matters worse. This is the time to pick up the phone or have someone else call a local Fort Worth TX City personal injury lawyer and take advantage of the free initial consultation that they offer. Here is your opportunity to speak with an expert in their field for free and get the professional answers to all of your questions and concerns. Regardless if you are in a hospital or in your own home in bed, the attorney will make the effort to come to you and consult with you personally about your case. One of the reasons that it is important to speak with a Fort Worth City personal injury attorney is because you never want to leave your financial future in the hands of a person you do not know. 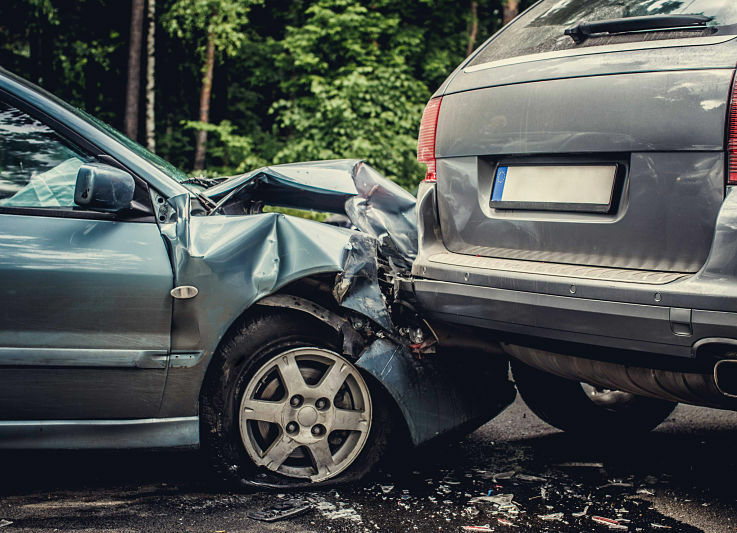 The biggest mistakes many drivers who are involved in a car accident will make is allowing the driver at fault to take care of the problem without involving the insurance company. This “logic” is supposed to save everyone money. Being promised cash to make repairs and take care of injuries might sound great in the moment, but it rarely plays out in that manner and in the long run never benefits you the victim. Something that can happen is that once the decision is made to not involve the insurance company is that the guilty party will leave the scene and get their own attorney and knowing that no evidence was collected, they wind up suing you. By calling a personal injury attorney right after the incident, you will make certain that the other party will be held accountable allowing you to focus on getting better. Your local Fort Worth personal injury attorney will most likely work for a law firm that has skilled professionals at the ready to begin what can be a long and complicated process of making certain you are taken care of during your recovery and that you are not financially impacted long-term from the accident. Been In An Accident With A Big Rig – 18 Wheeler? In order to be successful in a court of law with a personal injury case, evidence is everything. Just because you are hurt, does not guarantee that the court will rule in your favor. Once you secure the services of a personal injury attorney who is licensed in Texas, they will send out an accident investigator to the scene to begin collecting evidence. They will take pictures, make videos, and even speak with any eyewitnesses who may have left their contact information with the authorities. The goal here is to preserve the location in a way that will allow both the jury and the judge in the case to see exactly what really happened the day of the accident. Even if the accident occurred in a store and the staff had to quickly clean up the location, the accident investigative team deployed by your lawyer will have the skills to find any trace evidence that will reveal what really happened. By requesting video footage or checking case files to see if this is not an isolated incident, your attorney will build a case that will force the insurance company to pay the cash settlement that you are due. Once you have been treated at the hospital, your personal injury attorney is going to put you in contact with the best physicians who will be treating your specific injuries. These medical professionals are highly respected in the courts, and whether they give testimony or make recommendations, the courts usually give a lot of weight to the information that they are able to provide to the case. In some cases your personal injury lawyer may ask you to see someone other than your family doctor or the one your health insurance recommends. When this happens your attorney will make sure that you pay nothing up front to see the specialists you need for your treatment. Remember, your lawyer only gets paid if they win the case, so they are going to be working hard to get the insurance company to pay all of your medical bills, as well as, your loss of property and any pain or suffering that you may have to live with the rest of your life. All you have to do is see the doctors, get any necessary treatments recommended, and make certain to follow-up with any physical therapy for as long as the physician recommends and your personal injury attorney will take care of everything else. Once your personal injury attorney has consulted with your physicians, then the hard work really begins. To make certain that you are not left holding the bills when your injuries are still being treated years or decades from now, your lawyer has to be able to determine a settlement price that will protect you down the road. Your attorney will have to carefully weigh how much pain you will be in long-term, how the injuries will negativity impact your ability to work, and what effects it will have on your family as well. Once the financial figure has been determined, your attorney is going to present the settlement offer to the insurance company. Your attorney is going to be skilled at being able to get these insurance company lawyers to see clearly what needs to be done, and will often secure that settlement without a trial. If the insurance company does not want to comply with your demands, your attorney will most likely inform them that a lengthy and costly trial at their expense will follow, and they should prepare for a long battle. Some insurance companies trying to get around having to pay out a large settlement and will try to entice the injured person with a smaller cash settlement to be paid immediately. In most cases, this ends up being far less than is needed and that they are entitled. If the insurance company sees that your personal injury attorney has a track record of winning larger cash settlements, they will often yield to your attorney’s demands and make contact right before the trial ready to make a more respectable and agreeable offer. They know if you have a good case and a good Fort Worth personal injury attorney that they are going to lose and to save court costs on top of the settlement they most often opt to keep the case from going to court. Whether your accident happened in Panama City, Fort Worth or Dallas Tx or just about any city in the US. The Price Law Firm is your best chance for holding those that are responsible for your accident accountable and making certain that you are adequately compensated now and into your future. Ready to Speak With a Lawyer About Your Case?